Start thinking about your options for midsize sedans, and you may find yourself comparing the 2017 Ford Fusion and Toyota Camry. These were two of the first 2017 models to be released and are among the most popular. Both are known for their technology features and efficiency, but one may be better suited to your needs than the other. The Ford Fusion and Toyota Camry are comparable in price, but the Fusion does have an advantage. 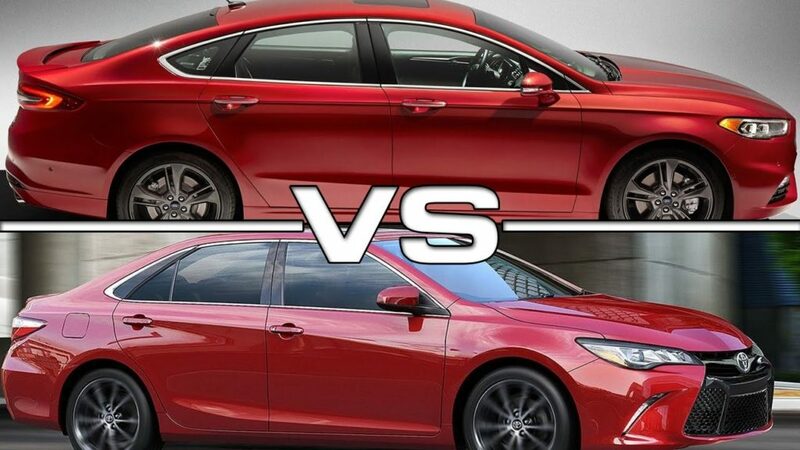 The Fusion starts at just $22,120* while the Camry has a starting MSRP of $23,070*. While this may not be a big difference, it does mean that you can upgrade your Fusion without spending as much as you would on the base Camry. If you want to guarantee that you will find a vehicle to meet your needs, you want a model that offers a range of configurations. The Toyota Camry does have a good number of choices with four main trim levels and three hybrid trims, but the Ford Fusion does even better. The Fusion comes with five main trim levels, four hybrid trim levels, and three plug-in hybrid trims. While the Camry has a respectable seven configurations, the Fusion offers a full dozen. In addition to leading in terms of configurations, the Ford Fusion also offers more engines than the Camry. The Camry has a 178-horsepower 2.5-liter 4-cylinder and a 268-horsepower 3.5-liter V6 if you don’t want the hybrid powertrain. Excluding the hybrid powertrains, the Fusion offers a 175-horsepower 2.5-liter 4-cylinder, a 181-horsepower 1.5-liter turbocharged 4-cylinder, and a 240-horsepower 2-liter turbocharged 4-cylinder. Thanks to the turbocharged engines, the Fusion can give you up to 29 mpg combined** without upgrading to a hybrid while the Camry gets up to 28 mpg**. The Ford Fusion also has an advantage for those interested in a plug-in hybrid since this powertrain isn’t available on the Camry. For more available configurations and better efficiency, choose the 2017 Ford Fusion over the competition. The friendly professionals at Long Lewis Ford in Hoover, Alabama, can help you get behind the wheel of the sedan of your dreams. **Based on EPA mileage ratings. Use for comparison purposes only. Your mileage will vary depending on how you drive and maintain your vehicle, driving conditions and other factors.